For countless South Texas Baby Boomers – people who were born between 1946 and 1964 – the idea of area women as elected leaders in the heart of "Macho Country" was as much a fantasy as Superman and flying saucers. But from that generation came courageous women, who struggled mightily against sexism and other discrimination, with their vision of Valley females as appointed and elected leaders at all levels of government in deep South Texas. Fast-forward to the present, and that unlikely dream of political equality for women in one of the most populated regions of Texas has become a welcomed and growing fact of life in Hidalgo County. Those findings – and other fascinating insights into the evolution of women’s rights in the traditionally male-dominated world of Rio Grande Valley politics – are found in a landmark academic study authored by Cassandra Rincones, a history instructor at South Texas College in McAllen. On Thursday, March 11, Rincones delivered excerpts from her doctoral dissertation, entitled A History of Women in Politics in Hidalgo County, before a standing-room audience at STC’s Pecan Campus library, which had gathered as part of STC’s inaugural Women’s History Month. "The introduction of women into the political sphere in Hidalgo County did not occur overnight," said Rincones, whose scholastic work helped earn her a Ph.D from Texas A&M-Kingsville. "It was something that was decades in the making." Her full dissertation is available for purchase from the Journal of South Texas History, a biannual publication of Texas A&M-Kingsville. 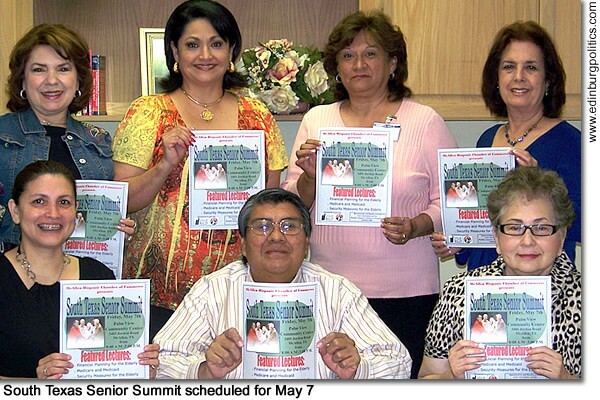 Rincones‘ endeavor includes highlights of oral histories she conducted with dozens of political strategists and political leaders from Hidalgo County who are women. Lucy Canales, a successful area attorney and partner with Linebarger Goggan Blair & Sampson LLP – a national law firm based in Austin which has offices in Edinburg and Brownsville – said she was proud to learn that the history and successes of Valley women in politics are being documented for current and future generations of Texans. "Although South Texas women have always been crucial to the political fortunes of South Texas men, for much too long, we were not allowed the opportunities to prove ourselves as capable elected leaders," Canales said. "Now, in 2010, we have two women nominated by their respective parties to serve as state representative, and the county treasurer’s and district clerk’s offices are led by women. Also, five of the justices on the 13th Court of Appeals, the presiding judges of three district courts and a master’s court, two justices of the peace, and a growing number of city commissioners and school board trustees in Hidalgo County are women. 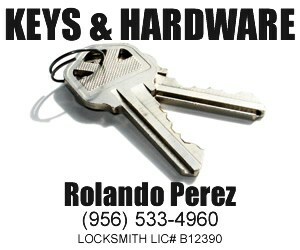 Those advances speak very highly of all the people of Hidalgo County." Canales was blessed to personally experience history in the making when her mother, Pauline González (who passed away in 2004) overcame the political glass ceiling against women by winning a countywide campaign. "In 1982, Pauline González was elected (Hidalgo County) District Clerk, as she had run against three men, so this becomes something that the county or each local city is starting to see, or be more aware of," Rincones observed. 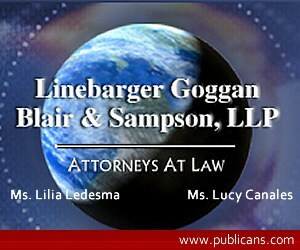 Canales and Lilia Ledesma, also a partner in the Edinburg branch of Linebarger Goggan Blair & Sampson LLP, commissioned a transcription of Rincones’ March 11 presentation, and are forwarding PDF copies to more than 1,000 community, political, business, and media leaders throughout Texas. "If we don’t publish, protect and promote our own history, no one else will," said Ledesma. "Today, we take it for granted that women hold positions as elected officials in Hidalgo County. But, as Cassandra Rincones has chronicled, it took tremendous courage, determination, and skills by women and men to help change the image and gender of the elected leadership in Hidalgo County." Susan Williams, one of the first women attorneys in Hidalgo County who campaigned for district court judge. Much like the iconic cultural anthem of the 1960s by Bob Dylan – The Times, They Are A-Changin’ – significant milestones in local society during that decade and the 1970s paved the way for area women to advance from securing office work in local governments to leading those governments, thus forever changing Valley politics. But first, the way Hidalgo County women were viewed by their own families had to dramatically transform. "Throughout the two-decade struggle for equality and the right of political participation in the local government, the Hispanic community concentrated on empowering men," Rincones reported. "The empowerment of women, regardless of ethnicity, was not seen as a mode of improving local politics, it wasn’t seen as something that would interest the area at all." Area women, even during the 1980s, "had to tear apart the stigma with which society had burdened them," Rincones said. "To get ahead in Valley life, women had to challenge the educational and financial entities in society here in Hidalgo County." Prior to the 1960s, the odds were always stacked against women seeking to publicly lead their communities, she added. "Family and educational expectations were not the same when it came to boys and girls in the Valley. For instance, young Hispanic girls were encouraged to marry, raise families, not go to college or have a career," Rincones explained. "College and professional careers were things that most Hispanic and Anglo families encouraged for young men. Mexican American families were less inclined to send their daughters away to college. Secretarial jobs (for Mexican American women) is one of the few professions that was accepted by the local community here in Hidalgo County." The emergence of a small, but significant professional class in deep South Texas – women lawyers – influenced more Hispanics to view local women as equals to men at even the most prestigious levels of society. Although all factors were important to the battle to empower women in local politics, the advent of women lawyers in Hidalgo County, which only numbered 14 in 1980, was an important element. "By 1990, the number of female attorneys had risen to 73, still a small number compared to the 339 male attorneys, but this significant increase in women attorneys accounts for the rise in interest in politics and the ability to demand a better working environment," Rincones said. "(Since then) the number of women holding elected positions had risen." "For all these young girls here in Hidalgo County"
"The introduction of women into Hidalgo County politics revealed a lot about the community, including cultural and political issues, that transformed local politics into what it is today," she said. This new decade’s political strategists, high-ranking government employees, and appointed and elected leaders in South Texas who are women are part of a growing force that has proven itself, and the best is yet to come, Rincones suggested. "Today…it’s not as surprising to see a woman run for office, it’s encouraged," she observed. "It is not seen as something to raise eyebrows at, I guess you could say. There is more support for women today to run for office." Although 2011’s slate of women political candidates, appointed government officials, and elected community leaders in South Texas is very impressive, Rincones reserves her highest praise and admiration for those who came before, including the Hidalgo County female leaders from the 1960s through the 1980s who were among the 60 women she interviewed for her dissertation. "I really enjoyed doing this project. It was supposed to be a term paper when I was getting my Master’s. It just fell into this huge project. It took me a long time to put together, but it was worth it to meet all these incredible women who crossed or overcame all of these obstacles," Rincones recalled. "It was very inspiring to hear these women talk about the things that they went through, and how happy they were to make a difference, not only for themselves and their families, but for all these young girls here in Hidalgo County," Rincones acknowledged. "It was pretty inspirational." For a free PDF of Sandra Rincones’ presentation at South Texas College, please send a request – via e-mail – to Lucy Canales (lucy@publicans.com) or Lilia Ledesma (lilia@publicans.com) with Linebarger Goggan Blair & Sampson LLP. 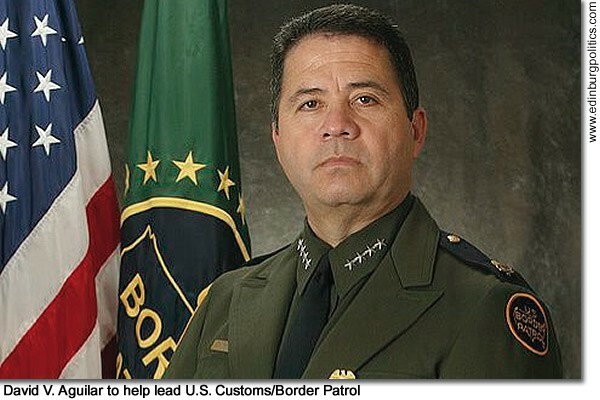 David V. Aguilar, an Edinburg native and 1974 graduate of Edinburg High School, was confirmed by the U.S. Senate effective Sunday, April 11, as Deputy Commissioner of U.S. Customs and Border Protection (CBP). Aguilar was named Acting Deputy Commissioner on January 3 following the retirement of Acting Commissioner Jayson P. Ahern, and confirmed by the U.S. Senate effective April 11th. As Deputy Commissioner, Aguilar is responsible for securing, managing, and controlling our Nation’s borders. Aguilar serves as the Chief Operating Officer, overseeing the daily operations of CBP’s 57,000-employee workforce and managing an operating budget of more than $11 billion. Aguilar’s primary focus will be to ensure that CBP’s mission of protecting the nation’s borders from terrorists and terrorist weapons is carried out effectively in partnership and unison with our nation’s other federal, state, local and foreign partners. Carrying out CBP’s other border-related responsibilities of keeping out illegal drugs and illegal aliens, securing and facilitating legitimate global trade and travel, and protecting our food supply and agriculture industry from pests and disease is also be a main priority. Aguilar has been the Chief of the U.S. Border Patrol since July 2004. As the nation’s highest ranking Border Patrol Agent with 31 years of Border Patrol service, Aguilar directed the enforcement efforts of more than 20,000 Border Patrol Agents nationwide. Prior to becoming Chief of the U.S. Border Patrol, he was the Chief Patrol Agent of the Tucson Sector. In that position, Aguilar was responsible for all operational and administrative functions of the sector. As chief, he had more than 2,000 Border Patrol agents under his command and more than 200 support personnel assigned to the Tucson Sector. He oversaw Border Patrol operations at eight geographically dispersed Border Patrol stations along 261 miles of the Arizona/Mexico border. In March 2004, Homeland Security Under Secretary Asa Hutchinson designated Aguilar as the Border and Transportation Security Integrator for the execution of the Arizona Border Control Initiative. Before his Tucson Sector assignment, Aguilar served as Assistant Regional Director for Border Patrol in the Central Region of the former Immigration and Naturalization Service (INS) from August 1996 to November 1999. In this position, he was the principal assistant and advisor to the Regional Director in the administration of operations relative to Border Patrol. 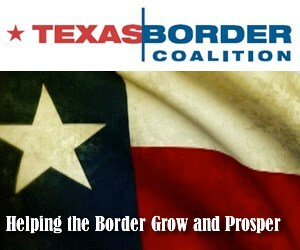 Aguilar managed, directed, guided, and was the principal strategic planner for the Regional Border Patrol Program. Aguilar served as Patrol Agent in Charge of three different Border Patrol Stations in Texas from 1988 to August 1996. He was first promoted to Patrol Agent in Charge of the Dallas Border Patrol Station in January 1988. He was promoted to the Rio Grande City Border Patrol Station in 1992. The Rio Grande City Station is one of the most active stations for narcotics interdiction along the Texas-Mexico border. He was promoted to the Brownsville Station in July 1995. The Brownsville Station was the largest Border Patrol Station in the Central Region at that time. The Dallas Border Patrol Station and the Brownsville Border Patrol Stations were both awarded the Commissioner’s Award for Group Achievement under Aguilar’s command. Most recently, the Tucson Sector was awarded the U.S. Customs and Border Protection Office of Anti-Terrorism Commissioner’s Award for operational achievements under Operation Desert Safeguard, an operation planned, designed, and implemented in the high-risk areas of the Tucson Sector in 2003. Aguilar was elected as the President of the Southern Arizona Federal Executive Association in 2004. Aguilar entered on duty in June 1978 at Laredo, and served as first line supervisor and Assistant Patrol Agent in Charge prior to his service as the Patrol Agent in Charge. 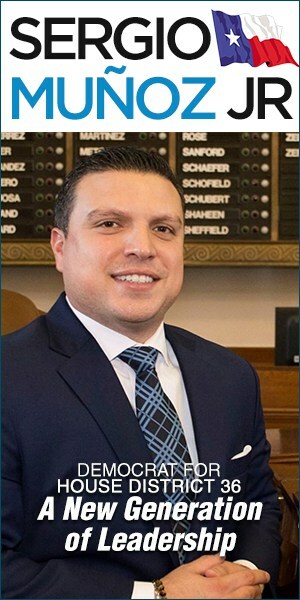 Aguilar received an Associates Degree in Accounting from Laredo Community College and he attended Laredo State University and University of Texas at Arlington. 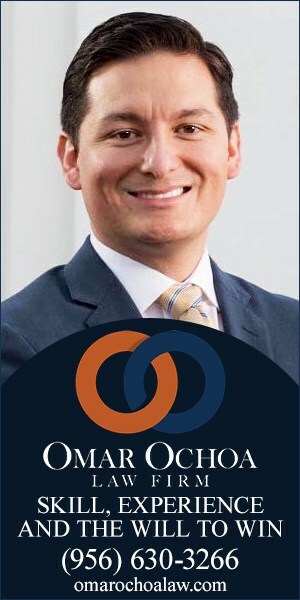 He is a graduate of the John F. Kennedy School of Government’s Harvard Senior Executive Fellows program. The U.S. Census on Thursday, April 15, and Friday, April 16, took its Be Counted message directly to the streets by way of a van – a big blue van. The rolling out of this mobile vehicle, known as the 2010 Census Road Tour, made several stops all across South Texas that week, including two in Hidalgo County. The van is designed to connect directly with the public and explain what is the Census and why it is so important. It provides interactive and educational experiences that inform the public about the importance and uses of the Census data. 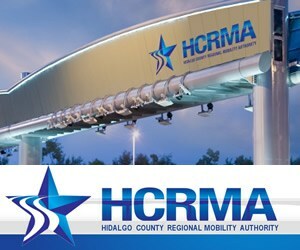 “We are doing our part to complement the Census to help ensure that the residents of Hidalgo County are counted accurately,” said Hidalgo County Judge René A. Ramírez, who has been openly critical of the Census’ decision to not mail questionnaires to residents of local colonias. The Take 10 Van Tour parked at designated stops during the day to let residents hear the good news of the Census. The van’s displays and interactive features, including a sample Census questionnaire and video presentations, are designed to illustrate how the Census works. There were also giveaways provided by the YoCuento 2010 campaign, a partnership of community leaders committed to raising public awareness about the importance of the census count and increasing local participation in the census. Visit http://www.YoCuento2010.com for more information on their efforts. 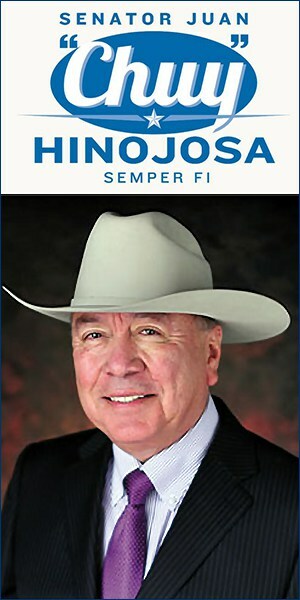 Congressman Rubén Hinojosa, D-Mercedes, on Tuesday, April 13, spoke with Tom Mesenbourg, the Deputy Director of the U.S. Census, about what must be done to ensure a proper 2010 Census Count in the Rio Grande Valley. 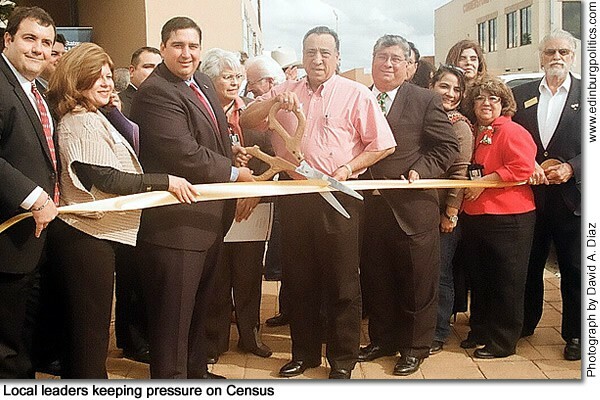 Hinojosa was recently informed that the Census Bureau did not send Census forms to 95% of colonia residents in Hidalgo County. “I let Deputy Director Mesenbourg know that we have more than 250,000 residents, at least, who did not receive Census forms in the mail," said Hinojosa. "I asked Mr. Mesenbourg to make certain that there are enough enumerators (census counters) who will go door-to-door in the next few weeks to make sure we count every resident. He assured me there will be enough enumerators hired to cover the entire border from Brownsville, Texas to San Diego, California." Hinojosa, along with other members of the Congressional Hispanic Caucus, discussed the problems of mixed messaging by the Census Bureau. “I asked Mr. Mesenbourg if the Census would invest more in advertising to explain the method of counting," said Hinojosa. “Mr. Mesenbourg said the Census Bureau will begin an aggressive advertising campaign in Spanish letting residents know, that if they did not send in a Census form, an enumerator will be coming to your door." “I will continue to monitor this situation and I am looking forward to a positive outcome from my conversation with Deputy Director Mesenbourg," said Hinojosa. “We must make sure that every resident is counted, so that our area does not lose out on important federal funding." The Edinburg school district’s $111.9 million campus construction projects are on target and the new schools are looking very good. The Edinburg school district is building four new elementary schools, two middle schools, a high school and three performing arts complexes at the three high schools as approved by Edinburg voters in the May 2008 school bond of $111,920,000. Construction is underway on four new elementary schools: one at Alberta and Sugar Roads; one on Davis Road; one on Rooth Road and Mile 17 ½; and one at Feddy González Blvd. and Raúl Longoria Road. Two middle schools are under construction: one at North Alamo Road and one on Rooth Road and Mile 17 ½. Three of the four new elementary schools will be complete and opened in time for the 2010-2011 school year. The fourth one will open the following year. Principals for the new elementary schools will be selected within the next few weeks and at this point, the district Personnel Department is working on the staffing of those new schools. The Edinburg school district’s Board of Trustees has approved the rezoning plan for elementary School attendance beginning in August 2010. Plans call for the new elementary schools to be state-of-the-art in facilities. Each elementary school will have a 650-student capacity. The 70,000 sq. foot, fully-landscaped schools will have terraza floors, wide hallways, tile walls, full libraries that meetTexas Education Agency standards, a computer room, a gym, a music room, and a cafeteria with an attached stage. Because the safety of the students and staff is a top priority, each school will have a controlled entrance into the school that will only allow entrance into the schools through the front office. Broaddus and Associates are the project managers, ROFA Architects are the project architects, and Joe Williamson Construction Co. is the project contractor for each new elementary school. Construction is also progressing on the two new middle schools located at North Alamo Road and Rooth Road, respectively. 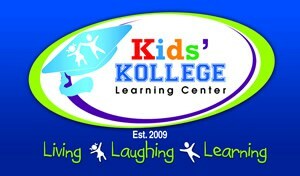 Those schools will not be ready for occupancy until the 2011-2012 school year. Each new middle school will cost $19 million and will be 150,000 square feet in size. Each fully-landscaped school will have a 1,200-student capacity and have complete state-of-the-art facilities. The schools will have three separate wings with separate administrative offices by grade similar to B.L. Garza Middle School. The schools will have a rotunda in the center of the school bearing the school mascot. They will have terraza floors, tile walls, wide hallways, high ceilings, a gym, a Fine Arts area, and ample library as per TEA standards, a cafeteria with an attached stage and access to drama rooms. Broaddus and Associates are the project managers, ROFA Architects are the project architects, and Joe Williamson Construction Co. is the project contractor for both middle schools. Once the middle schools are operational, the former Edinburg High School facility currently serving as Harwell Middle School will be renovated to reopen as Edinburg CISD’s fourth high school in the 2012-2013 school year. Construction on the three new performing arts complexes at the three high schools is also progressing. The three complexes should be completed and ready to be opened in October 2010. The complex at EHS is going up in the southwest section of the campus; the complex at JEHS is going up in the northwest section of the campus; and the complex at ENHS is going up in the northern section of the campus. Broaddus and Associates are the project managers, ERO International LLP is the project architect; and SpawGlass Construction Co. is the project contractor for the three fine arts complexes. Over at Brewster School, a full-size gym complete with a weightroom area and boys and girls dressing rooms as well as a full secondary wing for middle school students is under construction. Work is complete on the new cafeteria, new music room, and new football stadium at Brewster School. 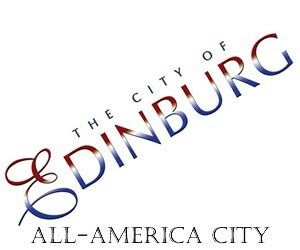 The Edinburg school board, the school district administration, and the Citizens Bond Oversight Committee having been diligently working with Broaddus and Associates, the bond construction managers, to ensure that all bond projects are being built in a timely manner with quality workmanship and the maximum of cost savings to the taxpayers. Two incumbents with the South Texas College Board of Trustees and their three challengers are scheduled to participate in a public forum, hosted by the STC Student Government Association, at its McAllen Pecan Campus on Tuesday, April 27. The forum begins at 12:30 p.m. The election, which involves only voters in sections of Hidalgo County – including a portion of southwest Edinburg – will be held on Saturday, May 8. Early voting will be held from Monday, April 26 through Tuesday, May 4. The length of the term each South Texas College board trustees is six years. Attorney Gary Gurwitz, 74, a founding member of the STC Board of Trustees, is facing Dr. Rosalinda Hernández, 65, a professor at The University of Texas-Pan American, and Rogelio "Roy" Martínez, 56, a McAllen business consultant, to represent District 4, which includes a portion of southwest Edinburg, north McAllen, northwest Pharr, Palmhurst, and northeast Mission. 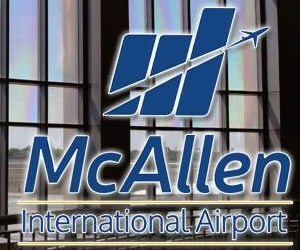 Mike Allen, 72, former longtime president and chief executive officer of the McAllen Economic Development Corporation, is being challenged by Gerardo “Jerry” Cruz Jr., 45, a counselor at Sharyland High School, to represent District 3, which includes south McAllen, southwest Pharr, Hidalgo, Sharyland, southeast Mission, and Granjeno. The Board Seat Candidate Forum, which will allow members of the public to ask questions, will be held in the Cooper Center for Communication Arts Auditorium, located at 3201 West Pecan Boulevard, across the street from the main campus. Voters are advised to contact STC at 956/872-3535 for more information on the forum, and may log on to STC web site at http://www.southtexascollege.edu/board/ for the locations and times of the early voting and election day polling places. The Hidalgo County District Clerk Office invites the community to tour its facilities in observance of National County Government Month (NCGM). NCGM is celebrated each April by the nation’s counties to raise public awareness and understanding about the roles and responsbilities of county government. The district clerk office will be promoting its public services and distributing information about its programs. The District Clerk Office will also be hosting its second annual open house on Wednesday, April 21, from 3 p.m. to 5 p.m. in observance of NCGM. The public is encouraged to contact the district clerk office at 956/318-2200, ext 6239 if interested in attending. This year’s NCGM theme is “Healthy Counties” and will focus on the county’s essential health care services, healthy living and recreation programs. Although not associated with health care services, the district clerk office will highlight the organization’s “state of health” and their efforts in implementing more functional and efficient practices and services. It was a packed house at Mission Chamber of Commerce on Tuesday, April 14, as concerned citizens arrived for a public forum regarding Proposition 1, relating to collective bargaining and arbitration for Mission firefighters. In general, collective bargaining is a process between employers and employees to reach an agreement regarding the rights and duties of people at work. Collective bargaining aims to reach a collective agreement which usually sets out issues such as employees pay, working hours, training, health and safety, and rights to participate in workplace or company affairs. Arbitration is a legal technique used to resolve disputes without going to trial. On one side of the room sat those opposing the proposition and on the other sat those in favor of the measure. Pérez, who has a strong background working on union issues, says that in his 32-year experience the issue of collective bargaining and arbitration comes down to wages and fringe benefits. Michael Silva, president of the Mission Fire Fighters Association, spoke on behalf of the union and explained that his goal is to get a seat at the table and work on issues of concern to some of the Mission fire fighters. Not all Mission fire fighters are on the Union’s side and some, such as René Álvarez, are actively participating with the Citizens Against Collective Bargaining. An impasse occurs when the parties do not settle by the 61st after the date on which the collective bargaining process began. Then, the union requests the appointment of an arbitration board. The arbitration process begins and includes deliberation, discourse and an investigation. At the end, the arbitration board renders a decision, which the city council must follow. Silva noted 28 communities in Texas have adopted this code, such as El Paso, Fort Worth and neighboring McAllen. The Palmer Drug Abuse Program (PDAP) of McAllen in joint sponsorship with Tropical Texas Behavioral Health and The University of Texas – Pan American College of Health Sciences and Human Services on Friday, April 16, held its first Continuing Education Conference. The conference was designed for licensed professionals, teachers, counselors and other health professionals seeking a deeper insight into Substance Abuse and Mental Health in addition to gaining necessary Continuing Education Units for their professional license in Texas. The class was held at the Region One Educational Center in Edinburg. Topics for discussion included substance abuse and underlying mental health conditions, the elderly and mental health, psychopharmacological impact of substance abuse, ADHD throughout the lifespan and Ethics: “The Challenges of Interdisciplinary Teams”. Upon completion of the course, CEU credits and certificates were given to all participants with the hope of enhancing knowledge of substance abuse and mental health in the Rio Grande Valley. Tropical Texas Behavioral Health is a CEU provider of LCSW, LPC, LMFT, and LCDC licensure. The University of Texas-Pan American is a CEU provider for CRC certification. Requirements for successful completion include attendance of the entire presentation and completion of an evaluation of the course. Six (6) CEU credits were possible with attendance of all sessions. Proceeds from the conference will benefit the Palmer Drug Abuse Program in McAllen to help keep their services completely free and confidential. Among the distinguished list of speakers assisting who were confirmed for the full-day conference were: Patricia González, Pharm. D.; Roberto Elizondo, MA, LCDC; Jerry Fischer, PhD, CRC, LPC; Daniel Gutiérrez, M.D. ; Eva Miller, PhD, CRC; and Eduardo Olivarez, B.S., LCDC. Gov. Rick Perry on Wednesday, April 7, reiterated Texas’ commitment to ensuring military veterans and their families have the support they need, both during and after their deployment. The governor announced the first grant from the Fund for Veterans Assistance, $1 million for the Texas Veterans of Foreign Wars (VFW) to help provide veterans and their families emergency assistance with household, vehicle, childcare, medical and personal expenses. The Fund for Veterans Assistance was created by the Legislature to provide grants to local communities to address veterans’ needs and enhance or improve existing veterans’ assistance programs. The fund is administered by the Texas Veterans Commission, which assists Texas veterans and their families with claims, veterans’ employment services and veterans’ education. “Gov. Perry continues to demonstrate his concern for the well-being of Texas veterans, and his support of the Texas Veterans Commission’s Fund for Veterans Assistance helps us provide much needed assistance to the brave service members and their families through this first grant today and future grants,” said Brigadier General Karen Rankin, chair of the Texas Veterans Commission. The Texas VFW Foundation assists veterans and their families by promoting programs to raise awareness and educate the public about the sacrifices made by America’s veterans, as well as the unique and special needs resulting from their service. VFW services include support for families during long deployments, relief in emergency financial situations, assistance with medical claims related to military service, employment assistance and job training, and scholarships for children of veterans. Veterans and their families in need of assistance can contact the Texas VFW Foundation at 1-800-997-7096. For more information about the Texas VFW, please visit http://www.texasvfw.org/. 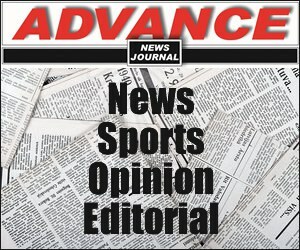 The National Association of Hispanic Journalists on Wednesday, April 14, called for a renewed commitment to diversity in news media in the face of survey numbers that show that the loss of journalists of color outpaced overall job losses as the industry cuts back in this difficult financial environment. The 2009 Diversity Census released this week by the American Society of News Editors showed that daily newspapers lost 175 Latino journalists in 2009, an 8.4 percent decline from the previous year. Since the employment of Hispanic journalists peaked three years ago when newspapers began their precipitous decline in revenue, nearly 500 Hispanic journalists – about one in five – were no longer in daily newspaper newsrooms at the end of 2009. The sharpest fall in Latino job losses came in 2008 – 259 journalists representing an 11 percent decline from the previous year. Last year’s drop brought the number of Latino journalists at the end of 2009 to 1,912, similar to levels not seen since 1999 when there were 1,905. The number of Latino journalists in newspaper newsrooms peaked at 2,409 in the 2006 ASNE census, but the drop since has erased all the gains made in 11 years. The 1,912 Latinos in newsrooms at the end of 2009 comprise 4.61 percent of the total workforce, just edging out the previous peak in 2006, when Hispanics were 4.49 percent of the journalists in newsrooms. But this slight increase in Hispanic representation is due not to increase in their numbers in newsrooms, but the sharp decline in overall newsroom employment. The pace of job losses overall for minorities in newsrooms last year, 12.6 percent, outpaced the overall decline of 11 percent for all journalists and 11.02 percent for white journalists. NAHJ stands ready to partner with industry leaders to reverse this trend. The organization also offers other resources and a myriad of skills training for those who have left newsrooms to continue in journalism on a freelance or independent basis if that’s what they choose. “We see glimmers of an improving economy for the news media. At some point, newsrooms must rebuild. NAHJ can help match people with jobs and help them learn the skills they need so that newsrooms are equipped – bilingually and biculturally – to report fairly and accurately on the nation’s fastest growing segment of the population,” said Pimentel. Founded in 1984, NAHJ’s mission is to increase the percentage of Latinos working in our nation’s newsrooms and to improve news coverage of the Latino community. NAHJ is the nation’s largest professional organization for Latino journalists with more than 1,400 members working in English and Spanish-language print, photo, broadcast and online media. NAHJ is a 501 (c)(3) tax-exempt non-profit organization. For more information, visit http://www.nahj.org. U.S. Immigration and Customs Enforcement (ICE) officials and Congressman Henry Cuellar. D-Laredo/McAllen, on Friday, April 9, announced more than $800,000 for the Pharr Police Department. These "asset sharing" funds, which is a portion of the total amount seized, were confiscated from various cash smuggling investigations between the Pharr Police Department and ICE agents. The seized funds are distributed to local law enforcement budgets so the agencies can continue to fund the work of fighting crime and keeping their communities safe. "When we seize contraband from criminals and smuggled goods, we take bad things off the street. When there is less of what is bad, we make things better for the good of all," said Cuellar. "I thank ICE and the Pharr Police Department for their collaborative efforts." "ICE is especially proud to recognize the key role that our local law enforcement partners play in addressing the significant threat illegal bulk cash smuggling poses," said Robinette, who heads the ICE Office of Investigations in San Antonio. "Seizing this money from criminals and giving it to local law enforcement sends the right message to the public and to criminal organizations. These funds allow the Pharr Police Department to continue their excellent work." “This asset sharing program we engaged with ICE is critically important for us because it solidifies our working relationship with ICE. Secondly, these assets themselves will allow us to provide better safety for the citizens of Pharr and the region by purchasing law enforcement technology and equipment, and the money also allows us to send our officers to training,” said Pharr Police Department Chief Ruben Villescas. Asset forfeiture is a tool used by ICE and other law enforcement agencies to seize assets from criminal organizations in their illicit enterprises or acquired through criminal activity. Under the related equitable sharing program, federal, state and local law enforcement partners and foreign governments working with ICE in joint investigations can be eligible to receive a portion of the proceeds of a federal forfeiture, which fosters greater partnership and cooperation among agencies. Cuellar is a member of the U.S. House Homeland Security, Agriculture, and Oversight & Government Reform Committees in the 111th Congress. Accessibility to constituents, education, health care, economic development, and national security are his priorities. 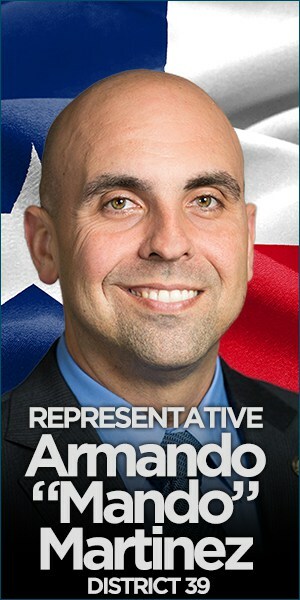 Cuellar is also a Senior Whip and member of the Blue Dog Coalition. Sisters Zu-Haidy Berenice Torres, 31, and Karla Judith Torres, 25, have been sentenced to 24 months in prison for evading a currency reporting requirement in their attempt to conceal $399,113 in a vehicle while trying to take the money into Mexico, United States Attorney José Angel Moreno announced on Monday, April 12. The sisters, both residents of San Benito, were convicted on January 7, 2010, following their guilty pleas. U.S. District Judge Andrew S. Hanen handed down the sentences on April 12 and also ordered the forfeiture of the $399,113 to the United States. On August 12, 2009, Karla Judith Torres drove a Ford expedition with her sister riding as a passenger and approached the southbound inspection lanes at the Los Indios International Bridge in Brownsville. Appearing nervous, the sisters were referred by Customs and Border Protection (CBP) officers to secondary inspection, at which time they were asked to declare weapons and or money in excess of $10,000. They denied possession of any weapons, currency or other monetary instrument in excess of $10,000 and did not complete the appropriate customs forms for taking currency in excess of $10,000 outside the county. A search of their purses by CBP officers resulted in the discovery of five packages of currency. Zu-Haidy Torres then informed agents that more currency was hidden under a rear seat of the vehicle. A total of nine more packages were found under the rear seat for a total of 14 packages of U.S. currency, containing a total of $399,113. The women were referred to Immigration and Customs Enforcement (ICE) agents for further investigation. Karla Torres gave a statement declaring that an individual in Mexico she knew only as Gordo paid her $5,000 to go to Houston to pick up the currency, and conceal and smuggle it into Mexico. She was directed to a Wal-Mart parking lot in Houston where an unknown Hispanic individual gave her a black briefcase with the currency. Once she got to the Rio Grande Valley, and in preparation to smuggling the currency into Mexico, she asked her sister, Zu-Haidy Torres, for assistance in smuggling the currency to Mexico. The sisters then concealed the currency in the vehicle and in the lining of their purses. Zu-Haidy Torres told agents she believed the money was drug proceeds. In addition to the money forfeiture and the prison term, Hanen imposed a three-year-term of supervised release as to each defendant. During the first two years of that term, each must perform 100 hours of community service. The court has permitted both to remain on bond and ordered to surrender themselves to begin serving their sentence on May 13, 2010. The investigation leading the charges and ultimately the conviction of both women was initiated by CBP officers and continued by ICE agents. 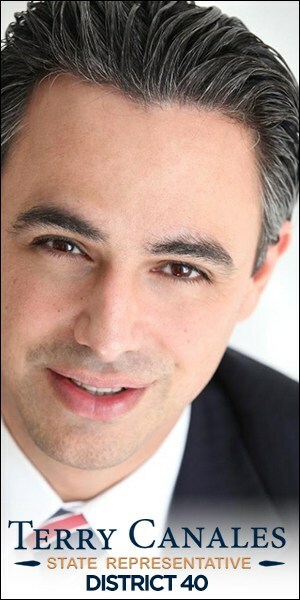 Assistant United States Attorney Ángel Castro prosecuted the case. A former U.S. Postal Service employee and two others were sentenced to prison for using the post office to distribute marijuana, United States Attorney José Ángel Moreno announced on Friday, April 9. Eva Zamora, 45, of San Benito, a former United States Postal Service (USPS) employee, along with Juana Pesina-Sierra, 54, of Los Indios, and José Antonio Sánchez, 29, of San Benito, were sentenced by United States District Judge Hilda Tagle. All three defendants were arrested and charged in August 2009 as a result of the efforts of USPS – Office of Inspector General (OIG) with the assistance of the United States Postal Inspection Service and the Cameron County Sheriff’s Department. Zamora, who pleaded guilty in November 2009 to conspiracy to possess with intent to distribute more than 100 kilograms of marijuana, was held responsible for distributing a total of 711.75 kilogram of marijuana between December 2008 and August 2009. The amount of drugs was based upon a calculation made by the court considering 16 parcels seized by USPS – OIG agents which had been processed by Zamora at the post office and 57 similar parcels she was videotaped processing. Each package contained an average of 9.75 kilograms of contraband. Tagle sentenced Zamora to 57 months in federal prison to be followed by a four-year-term of supervised release. Pesina, who was determined to have occupied an managerial role in this “contraband by mail” scheme, was held responsible for 645.20 kilograms of marijuana during the same time period. The amount of drugs was based upon 16 parcels seized by USPS – OIG agents in which she was a participant in the mailing process and for the 51 similar parcels she is videotaped mailing. Each package contained an average of 9.75 kilograms of contraband. Additionally, 11 kilograms of marijuana were seized at her home. Tagle sentenced Pesina to 70 months in federal prison to be followed by a four-year-term of supervised release. Both Zamora and Pesina have been ordered to pay a total of $1,075.57 in restitution to the USPS. Sánchez was sentenced to 37 months in federal prison to be followed by a four-year-term of supervised release. Sánchez was held accountable for 304.95 kilograms of marijuana. That sum was based upon 16 seized parcels containing an average of 9.75 kilograms of marijuana and 24 similar parcels in which he was involved and were videotaped. All three defendants were arrested as a result of the efforts of USPS – OIG. Zamora and Sánchez have been in federal custody since their August 2009 arrest and will remain in custody to serve out their prison terms. Pesina was permitted to remain on bond pending the issuance of an order to surrender to a Bureau of Prisons facility to be designated in the near future where she will serve her sentence. Anyone having information regarding a postal employee involved in a crime, is asked to contact the USPS-OIG at hotline@uspsoig.gov or 1-888-USPS-OIG (1-888-877-7644). U.S. Postal Inspectors are increasing their efforts to protect the U.S. Mail from criminal misuse in South Texas. Specifically, the U.S. Postal Inspection Service is focusing on drug traffickers that attempt to use the mail to distribute illegal narcotics out of the Rio Grande Valley, which is a violation of federal law. Postal Inspectors are aggressively working to identify and arrest persons engaged in the mailing of narcotics. Anyone having information on persons engaged in using the U. S. Mail to distribute narcotics is encouraged to contact the local Postal Inspector’s office at (956) 971-1721. The U.S. Postal Inspection Service will pay up to $50,000 for information leading to the arrest and conviction of individuals who use the U.S. Mail to distribute narcotics. Gov. Rick Perry on Wednesday, April 7, announced that the Texas Emerging Technology Fund (TEFT) is investing $250,000 in Smartfield, Inc., of Lubbock, for the commercialization of their crop irrigation management technology. Smartfield’s technology uses sensors to monitor rainfall, crop canopy temperatures and stress levels, and informs growers of the real-time irrigation demands of virtually any type of row crop. This method makes it easier for growers to determine the ideal conditions for watering crops, ultimately reducing pumping and labor costs, saving water and improving crop yields. The TETF is a $200 million initiative created by the Texas Legislature in 2005 at the governor’s request, and reauthorized in 2007 and again in 2009. A 17-member advisory committee of high-tech leaders, entrepreneurs and research experts reviews potential projects and recommends funding allocations to the governor, lieutenant governor and speaker of the House. To date, the TETF has allocated more than $130 million in funds to 102 early stage companies, and $153 million in grant matching and research superiority funds to Texas universities. Five additional states on Wednesday, April 7, announced that they will join the original 13 states’ legal challenge to the newly enacted federal health care legislation. Indiana, North Dakota, Mississippi, Nevada and Arizona will join Texas and 12 other states’ legal action, which was filed on March 23 in federal court. Under the new federal health care law, for the first time in the nation’s history, the federal government is attempting to force individual Americans to enter into contracts and purchase services from private companies – in this case, insurance companies – or face a penalty. The state attorneys general are challenging this so-called individual mandate requirement, explaining that such an imposition on the American people exceeds Congress’ authority and violates Americans’ constitutional rights. Additionally, the states are challenging provisions of the new law that will impose dramatic Medicaid spending increases on the states – including $27 billion in mandatory spending increases in the State of Texas. The 18-state coalition includes Texas, Florida, South Carolina, Nebraska, Pennsylvania, Louisiana, Washington, Colorado, Michigan, Utah, Alabama, South Dakota and Idaho. Texas Attorney General Greg Abbott on Thursday, April 8, reached a multi-state agreement with Valero Retail Holdings Inc. and Valero Marketing and Supply Co. to halt the sale of tobacco products to minors. Under the agreement, Valero and its 621 Texas convenience stores will implement comprehensive in-store programs to ensure that minors do not obtain tobacco products. The Texas settlement, which was filed in Travis County District Court, will impact approximately 1,000 stores in eight states, and almost 4,000 independent, third-party outlets in 38 states where Valero sells its branded fuel. Valero’s Texas convenience stores also operate under the names Diamond Shamrock, Beacon, Ultramar, Corner Store and Stop-N-Go. The settlement also prohibits Valero from displaying self-serve kiosks, vending machines, free samples and cigarette look-alike products. To ensure compliance with this agreement, Valero will hire an independent firm that will employ undercover mystery shoppers who will arrive at stores unannounced and attempt to purchase tobacco products. These mystery shops will determine whether the employee selling the tobacco product asked the purchaser for identification. The attorney general has secured similar agreements with several other major retailers, including Kroger, Shell, Chevron, CVS Pharmacy, Conoco Phillips 7-Eleven, Wal-Mart, BP Amoco, Walgreen and Exxon Mobil. Studies show more than 80 percent of regular adult smokers began smoking as children, and every day it is estimated that 2,000 children begin smoking cigarettes. The earlier in life a person begins smoking, the more difficult it is for him or her to quit later in life, and the consequences are tobacco-related diseases and death. More than 400,000 Americans die each year from diseases caused by tobacco use. Texas Attorney General Greg Abbott on Thursday, April 8, obtained a court order shutting down a Laredo-based location that serves as a haven for narcotics trafficking. The attorney general’s enforcement action marked the launch of Operation “Minding Your Own Business”, a new multi-jurisdictional border-regional crackdown on organized criminal activity. The new law enforcement effort will use state nuisance abatement laws to shutter locations where criminals regularly conduct business. At the attorney general’s request, the 111th Judicial District Court in Webb County ordered property owner Catarina Garza to vacate the premises for one year. The order effectively shuts down the property and thus prevents narcotics dealers from continuing to use it as a base of operations. According to police reports, multiple instances of drug trafficking have occurred at Garza’s property since July 2008. The Laredo Police Department and the Webb County Sheriff Office have documented at least six separate controlled substances violations at the property. In January, the Attorney General’s Office filed an enforcement action under state nuisance abatement laws and sought an injunction prohibiting further criminal conduct at the property in question. After Garza failed to remedy the situation and continued to allow criminal activity on her property, the district court ordered her to vacate the property effective April 13. The attorney general’s enforcement effort stems from a referral by the U.S. Customs and Border Protection agency under the new multi-jurisdictional initiative. The program is intended to help reduce organized criminal activity near the United States-Mexico border by targeting locations where criminal enterprises conduct their illegal business. Under state nuisance abatement laws, law enforcement authorities can take remedial action when a specific piece of property or site becomes a hub for criminal conduct and unlawful operations.